There is power in words we use, and we happen to believe that “awesome” is one of the most powerful words on the planet. It has the ability to change the world (for the better). 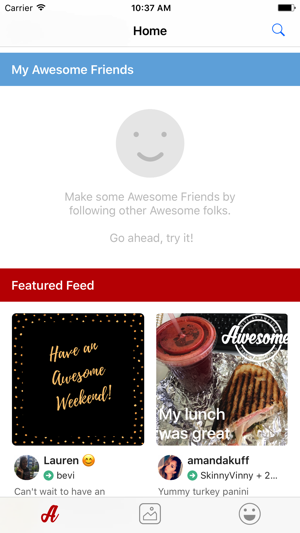 Welcome to the “Give an Awesome” app, your secret weapon in making someones day better. The app is designed to do one thing really really well, shift the energy in someones life to positive. It’s kinda like an affirmation engine for your pocket. 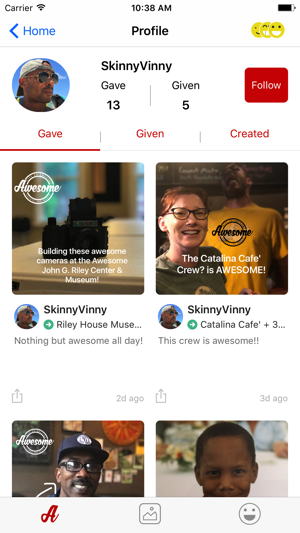 The Give An Awesome app gives you the super power to reward someone with a generous dose of good. Giving someone an Awesome is like giving them a really big hug, or a pat on the back, except it involves no skin, just all heart. The interesting thing is this, giving someone an Awesome not only makes the person you're giving the Awesome to feel good, but there’s a side affect: Giving An Awesome makes you feel good too. In a world of constant negative messages, this app focuses on all the good that happens in the world. This app allows you to brighten someone's day simply by giving them an awesome. Not only does it make someone feel "awesome", but you feel good doing it too. Promoting positivity in a fun awesome way that is awesome. 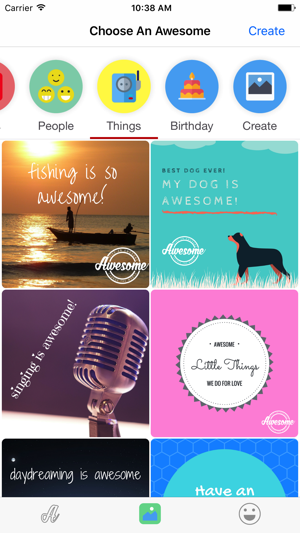 I love seeing all the awesome's everyone is creating on the app it is inspiring and makes me happy. Great! Really love the positivity!! Keep it going!